With 2018 behind us, we here at Xbox Wire decided that now would be the perfect time to start looking ahead to some of the big games coming out in 2019. There are already a lot of them on the books, many of which will be coming out during the first few months of the year. While there’s already a decent amount of info on these titles, we’ve found that it can be tough to figure out details with all of the information spread out across the web. So, with that in mind, we’ll be spending the rest of the year taking a closer look at some of 2019’s biggest games and pulling together as much info as we can into one place. Today, we look at Capcom’s Devil May Cry 5. How would you describe DMC5 in a sentence? Combo-heavy, sword-n-gun gameplay which Capcom refers to as “stylish mayhem,” unfolding at a silky smooth 60 fps. As you might expect, Devil May Cry 5 picks up a few years after DMC4 (and DMC2; the series is somewhat out of linear order) – but since that was more than 10 years ago, here’s a refresher: Demon Hunter Dante has been around since the first game, taking on all manner of abominations from the Demon World, whose leader was defeated by Dante’s father long ago. During the events of DMC4, young Demon Hunter Nero appears, and, ultimately, the two end up on the same side (against evil, obviously). 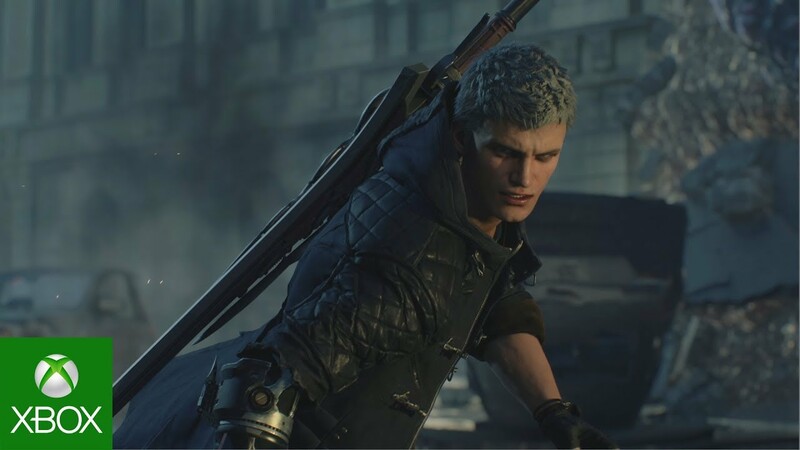 Both characters will be playable in DMC5, along with a new Demon Hunter, V, who appears to have a very different skillset than either Nero or Dante. Wait, wasn’t there a Devil May Cry more recently than 2008? Yes! But note that Ninja Theory’s 2013 Xbox 360 release DmC actually takes place in a different universe/timeline (!). The Definitive Edition is available now on Xbox Game Pass if you’ve never given it a go. Is there anything I can watch to get a better idea of what’s going on? Capcom isn’t kidding with that “stylish mayhem” description. This Devil Breaker trailer (named for the replaceable arms that serve as Nero’s differentiating gameplay mechanic) delivers among other things: hideous demons, powerbombs (yes, the wrestling move), Nero surfing on his own arm, a car getting bicycle kicked, and a motorcycle turned into dual sawblade melee weapons, all in buttery smooth 60 fps. Devil May Cry? I’m more of a Mega Man fan. So weird that you’d say this! Fortunately there’s something for you too. Ugh, that’s forever from now! Well then, you can slake your thirst for decapitating demons by downloading the Xbox One-exclusive demo, right here, right now! Also, there’s never been a better time to get up to speed on the series, as Devil May Cry 4 Special Edition is included in Xbox Game Pass. You’ve got that, don’t you? It’s only a dollar for the first month.